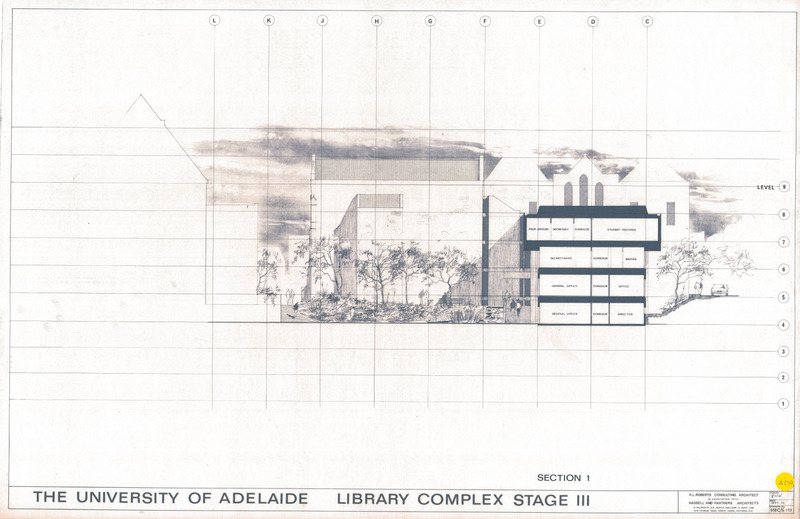 “Gem of the Week” dates back to September 1972 of the proposed Library Complex in the Kenneth Wills and Hughes buildings. The UniSpace Team is currently scanning all of our hard copy large format drawings that are stored at Thebarton. You will notice that some of the scans are not pure white, this is due to the paper type and the age of the print. Also we do not alter or photoshop the original scans, we stay true to the original version. 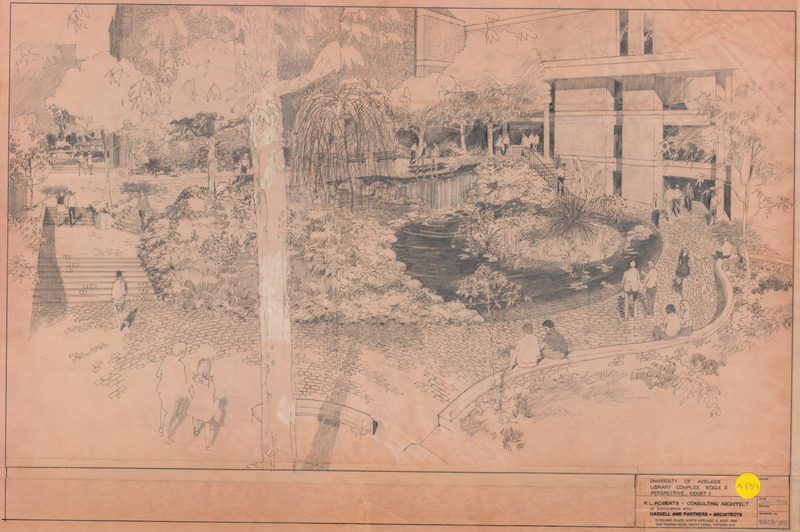 We have assisted many people and groups at the University by supplying them with high quality digital archival images. We can also assist in preparing them for publication with photoshop work if required. If you need information on UniSpace, please Contact Us. This entry was posted in archives and tagged archives, continuing improvements, dataviewer, drawn by hand, gem of the week. Bookmark the permalink.